I have been talking about directors of a lot on my blog, there already a lot of lists and retrospective about them, because they are the key’s in films. 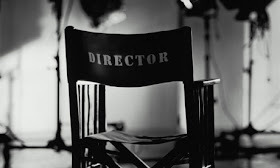 The most important and essential part in films are the director, I hope to become myself one day, but lets get into this post. This post is all about the ten directors, who I love and have enhanced my love for cinema. I did a similar list with fifteen directors back in October, but that was my first post, and I think it was little unsatisfying, so I decided to do a new one, and with ten, as going to fifteen was creating some problems, so what are we waiting for, lets start the list, Enjoy! Italian cinema is my favourite form of cinema after Hollywood. There are so many great films as well as so many great directors. 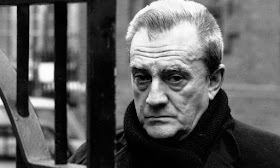 My favourite film from Italy remains The Bicycle Thieves, and I love Vittorio De Sica as well as other directors from Italian cinema such as Roberto Rossellini, Sergio Leone, Michelangelo Antonioni, and somewhat Federico Fellini, but the director who I really love and adore from Italian cinema is Luchino Visconti. His The Leopard is one of the greatest films I’ve ever seen, it is also of the most beautiful films of all time. Visconti had the vision to direct one of the most path-breaking and powerful films I’ve ever seen. He gave the essence of a period film like no other director, also I love variety in his films like from The Leopard he can go on making Rocco And His Brothers. I love Visconti’s whole filmography (almost), as I recently completed his retrospective, he is truly a master, there is no doubt about that. Film by film, I started to love Visconti’s style of filmmaking. Yes, there are couple of weak films of his, but that dosen’t even comes close to overshadowing the masterpieces he has crafted. He is the true master of Italian-Neorealism which Visconti along with De Sica and Rossellini started. All, I could say I have established a love for Visconti’s work. This legend was surely one heck of a director, everything seems so perfect in his films. As far as taking something from Visconti is concerned, his style capture of capturing old times, visual appeal, set design, perfection at shot’s and many more things. FIVE FAVOURITE FILMS: The Leopard, Rocco And His Brothers, Death In Venice, The Stranger, The Damned. The master of suspense, making mystery films one after another with suspense in it, is that easy, hell no. Shamalyan anyone? But the only to master to accomplish this the great Alfred Hitchcock, who is arguably known as the greatest director of Hollywood. The tone to his films, are simply what I love in films. Mystery is has always been one my most beloved genre, and who else better then Hitchcock have been able to deliver so many mystery films. He has made a lot of films, a lot I mean really more than anyone else could imagine, so I’m still in somewhere, I watched about 25 Hitchcock films, and those have more then enough impact on me. Weather as an audience or even as an aspiring filmmaker, Hitchcock is simply one of the most influential filmmaker of all time. Weather it is his early works like “Notorious” or his 50’s work where he was at his peak with films like “Strangers On A Train”, “Rear Window”, “Vertigo” etc. Hitchcock went on making some more masterpieces in 60’s like “Psycho” and “The Birds”. His collaborations with James Stewart are one of the best actor-director partnership ever. 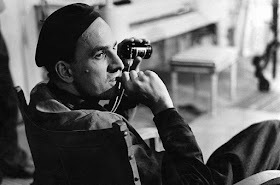 Along with Kubrick, Bergman, Kurosowa, Tarkovsky, Kieslowski & Scorsese, Hitchcock has not made just three or four great films, he has much more of them. My love for Hitchcock will never end, it is always joy to look at his work, even his lesser rated ones. There is so much to take from Hitchcock, like his tension build up, camera shots etc. Also it is always a fun to see his cameos in his own films. FIVE FAVOURITE FILMS: Rear Window, Psycho, Vertigo, Strangers On A Train, Notorious. The legend which in my opinion remains underrated. I don’t know about the other’s but I personally think he is of the level one of the greatest auteur of all time. I simply love whatever he has ever crafted. Right from his early works like Camera Buff to his last work Three Colors: Red. He is one of those directors out there, with having masterpieces and more masterpieces under his name. The way that Kieslowski executes his film is like no other director. He understood our society and made films out of it. Not even one film of is just like that, his films were always meaningful and deepful. His Dekalog remains one of the biggest cinema achievement any one has ever got. It is one of the most powerful film/mini-series I’ve ever seen in my whole life. The way he created small details in films, his brilliant writing, making a film with a reason is what all I could take from Kieslowski. 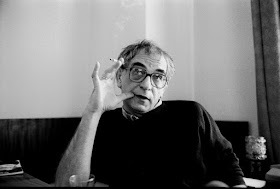 There is never a dull moment in a Kieslowski film, he showcased his films with perfect direction. The way that Kieslowski shifted from one genre to another is itself one of the biggest accomplishment, right from Dekalog Ep.5 which was about killing a dark and dull film to Dekalog Ep.6 a romantic tale about a lover. The topic of his films are always memorizing. He was a master at his work, and crafted some of the greatest films my eyes have ever seen. FIVE FAVOURITE FILMS: Dekalog, The Double Life Of Veronquie, A Short Film About Killing/Love, Three Colors: Red, Three Colors: Blue. 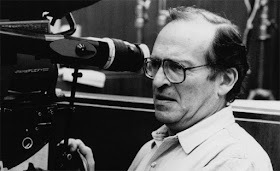 Sidney Lumet, probably the most underrated legend in American cinema. He is known for his works like 12 Angry Men, Dog Day Afternoon, Network and people think that’s it. Those are my top three Lumet’s but there is so much more to his filmography, every work of his has it’s own uniqueness, I have watched almost his entire work, there is greatness and richness in every Lumet film. Weather it’s The Offence or Murder On The Orient Express, he has so much more to his name. He explored different kinds of world in films, weather it was courtroom in his debut film, then robbing a bank in 1974’s classic, or exploring about T.V people. What special thing Lumet films has that, the performance he used to showcase from his films were powerful and impactful, many actors who have worked in his films, I think is there best performance and I think yes Al Pacino too, his performance in The Godfather Part II is flawless but in Dog Day Afternoon he gets into his character which has yet to be matched. Very few director’s could do that with actors naming a few like Eli Kazan, Paul Thomas Anderson, and of course whom I am talking about right now Sidney Lumet. The character studies that Lumet have crafted are some of the best I’ve ever seen, even his smallest character get’s it’s development in his own way. The screenplay of Lumet films used to get a perfect treatment with Lumet’s ultra-perfect direction. Out of his 35 films, I have watched 30 films and yes it’s true. Yes he has some not so good films like The Wiz, but a director always keeps experimenting and it is exactly what Lumet did. There is so much to take from Lumet films, thing like character development, fast pacing, entertainment. I have enjoyed every single Lumet film I’ve watched, there is so much entertainment in watching a Lumet film as well as to learn, he was master at his work. FIVE FAVOURITE FILMS: Network, 12 Angry Men, Dog Day Afternoon, The Verdict, Serpico. Arguably known as the greatest director of all time, Ingmar Bergman has probably the most number of masterpieces, it’s just not because he was a perfectionist and one of the greatest auteurs of all time, he had a long filmography, and having such a large and vast filmography, very few director’s have made many masterpieces and Bergman is one of them. Out all of the Bergman films I’ve seen, I didn’t liked even a single Bergman film, I loved them. Over the time, I’ve seen 15+ Bergman films and all have their uniqueness and rich in their own way. The way that Bergman executes his stories through brilliant screenwriting and rich direction, he was a master, and knew what is filmmaking, he knew how to make a great film and he simple did that. I cannot even imagine in the 50’s were there were great War films and Hitchcock were at his peak, Bergman out of nowhere, gave his best in 1957, The Seventh Seal, really it’s hard to imagine, how could he create such a vision. He has followed his career from 40’s to 80’s. The five decade’s that Bergman showcased his skills made him a true visionary of films. How can a director make two masterpieces in just a single year, yes Bergman has done that in 1957 with The Seventh Seal & Wild Strawberries. What I love about Bergman is just not his stories, but his visual appeal to a film, extra-ordinary plot, unique way of storytelling and there are many more things, that I can take from Bergman. All, I could say he was truly the greatest director, as his films are so great to watch. Bergman, as soon as I hear this name, I hear greatness. FIVE FAVOURITE FILMS: The Seventh Seal, Wild Strawberries, Fanny & Alexander, Winter Light, Persona. Arguably known as the greatest director of all time, and somewhere I think he deserves that tag, but as far as my favourite director’s are concerned I love Stanley Kubrick, I’ve loved his films, right as I started watching them. Kubrick was a perfectionist, he did even gave biggest amount of detail to even small elements of the film, and that is why I think he has the most amount of A+ films under his belt. Now, his worst film, something like Fear & Desire is like a C+ for me, but as the filmography of Kubrick went on, he went on with the paces and gave us masterpieces like Paths Of Glory, Dr. Strangelove and the list goes on. I have never disliked a single Kubrick film, again like most of the directors on this list, what special thing Kubrick has is that he was crazy (in a good way), I cannot even think in the 60’s where people were making drama’s, Kubrick went on making a sc-fi film no one understood it back then, he was a filmmaker way ahead of his time. He has come making films in the 50’s, 60’s, 70’s, 80’s, and finally 90’s. Five decades of career with just thirteen films, yes that maybe a lesser number, but whatever he has made is even more to digest. His films are not the one’s where you get satisfied with only a single watch, I can’t count how many times I have watched Dr. Strangelove or 2001: A Space Odyssey. 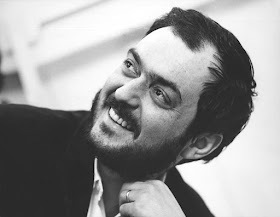 Stanley Kubrick, whenever I hear that name first thing that comes to my mind is perfection. FIVE FAVOURITE FILMS: Dr. Strangelove, 2001: A Space Odyssey, Paths Of Glory, A Clockwork Orange, Eyes Wide Shut. 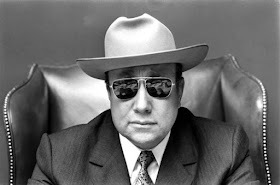 No jokes, but I got introduction to Jean-Pierre Melville just about this year, I have loved French cinema, and director’s from there such as Jean-Luc Godard, but honestly just loving their few films, but they weren’t close to my favourite list. But, when I started to watch Melville’s work, I knew I’m watching some of finest film I’ve ever seen. Having watched all his films recently, I can proudly say that Melville is the true master of crime, no really this legend directs my favourite genre films like no other. The use of silence in his films, use of colours, the characterization, telling so much without having a single piece of dialogue at moments, and many more other things are the things that Melville does and what I can take from him. The guy was a genius at his work, he knew what and how to make a film masterpiece. His films are always joy to watch, there is so much to learn from his films as well as to watch them as entertainment, Le Samorai is one of coolest films I’ve ever seen, while Army Of Shawdows is one of the most powerful film I’ve ever seen, and Le Cercle Rouge is probably the best heist film I’ve ever seen. Melville is a legend, no doubt about that, but he has a special place in my heart now, he is the director who I’ve started to learn from. The master of crime films, sadly remains underrated (in my humble opinion) by other filmmakers from France like Godard, Trauffet etc. But for Melville takes the cup, one of the finest directors of all time! FIVE FAVOURITE FILMS: Le Samouraï, Le Cercle Rouge, Army Of Shawdows, Le Deuxième Souffle, Le Dolous. 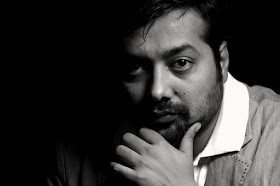 Anurag Kashyap, the very own filmmaker from my country India. He is the “only” filmmaker from India whose whole filmography I adore and love. Even if you go in the classic zone, but for me Kashyap is the director of Indian cinema, who has changed the way I see Bollywood films. He draws inspiration from some great auteur’s from all over (world cinema), but his films always feel Indian, he never aims to make a film that looks Hollywood, he just takes inspiration and give them Indian touch. His films are the only films of Bollywood that I can relate to and say, okay that is real India. The way that Kashyap enforces the viewer from his first scene to take interest in the film or atleast to me, His films are the one’s which I can relate to. His use of violence, long takes, stretching one scene, epic dialogues and many more things, what I can draw from Kashyap’s style of filmmaking, I don’t even dislike a single Kashyap film, even his worst film is better then most of Bollywood blockbusters made. While every filmmaker in India tries to play it safe, here is a director who experiments with his films, weather it is No Smoking or weather it is Bombay Velvet. His films are dark but they always feel relatable, he makes the films which are realistic and tells the truth about our society, no it is just not about making love story, that stuff dosen’t happen much. That is the fact about his films, our world is not the nicest place and we know it, so why not showcase it? Besides Indian readers, If you haven’t seen a great Indian film, I suggest checking out Kashyap’s filmography or atleast the one’s I have named below. As far as world acclaim is concerned, three of the films he directed have went to Cannes in Director’s Fortnight section, and some of other’s as well which he has produced or written. I’m sorry if it got from talking about my love for Kashyap to telling his achievements, but I really want more people to see his work that’s it, because I just love the man’s work. FIVE FAVOURITE FILMS: Gangs Of Wasseypur, Black Friday, Ugly, Dev D, Raman Raghav 2.0. 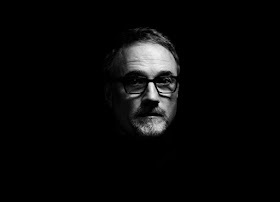 David Fincher is the best contemporary director working today in my very humble opinion. Some may argue about Paul Thomas Anderson, he is great, but for nothing comes close when we are talking about contemporary directors other then Fincher. I can simply say that Fincher makes the kind of films I love, Dark, Dull, Disturbing. Every shot in a Fincher film seems perfection, there is not a single low moment in Fincher’s film. His films besides dealing with darker plot’s, but they seem so human, that is what is special about Fincher. His career may not have started the best way, but as soon as he made Se7en, he is come by making many masterpieces, as by dominating the 90’s, with other films like The Game & Fight Club, his 2000’s career with Zodiac, but a great small thriller Panic Room. Fincher crafted one of the very best films of this century The Social Network, he showcased that he can make great films even if not being in hi zone. Fincher is the director, I envy (as a verb). I love what he does with every single film of his. No one can do what Fincher does, he understands what a film is, even a single cut in his film is made with a reason. Besides all the technical aspect it is always joy to watch a Fincher film anytime, and no one does better opening credits then Fincher, I repeat no one! FIVE FAVOURITE FILMS: Se7en, Zodiac, Fight Club, The Social Network, Gone Girl. Martin Scorsese is my favourite director of all time, no matter what. He is one sheer reasons why I am writing this today, I owe all to him. After watching Taxi Driver, the film that changed my life and I knew I wanted to be in films after watching it. The charisma that Scorsese exhibits, he still is making masterpieces even so late on his career, and there are many more to come. He has come by making films in the 70’s to still is working with the same passion as any other X generation director. I love everything about Scorsese, his use of narration in the film, fast paced editing, use of music, violence, humour etc. I can simply name it all together I love Scorsese’s work. Weather it is his early works like Mean Streets or his underrated films like The King Of Comedy, to his other masterpieces like Raging Bull, Goodfellas. Scorsese has accomplished to create some of the greatest films ever made, but as looking through my eyes he has enhanced my love for cinema. There is so much to learn from his films, side by side fun to watch. No one makes character studies better then Scorsese, he is a master at making them as well as making Gangster flicks, Biopics etc. 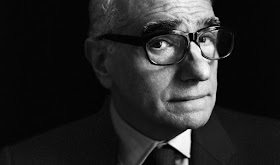 Scorsese is no doubt a legend, but he has what all I love about cinema. FIVE FAVORITE FILMS: Taxi Driver, Raging Bull, Good fellas, The King Of Comedy, Mean Streets. So, that wraps up the whole list, so there are few directors who just couldn’t made the list, you can check all the Honorable Mentions by clicking here. I personally think this is by my biggest accomplishment or in other words my best post till date. So what are your favourite directors and why?